A running program to inspire 4th, 5th and 6th grade boys to be courageous enough to be themselves through running. It also shows them how to build healthy relationships and live an active lifestyle. 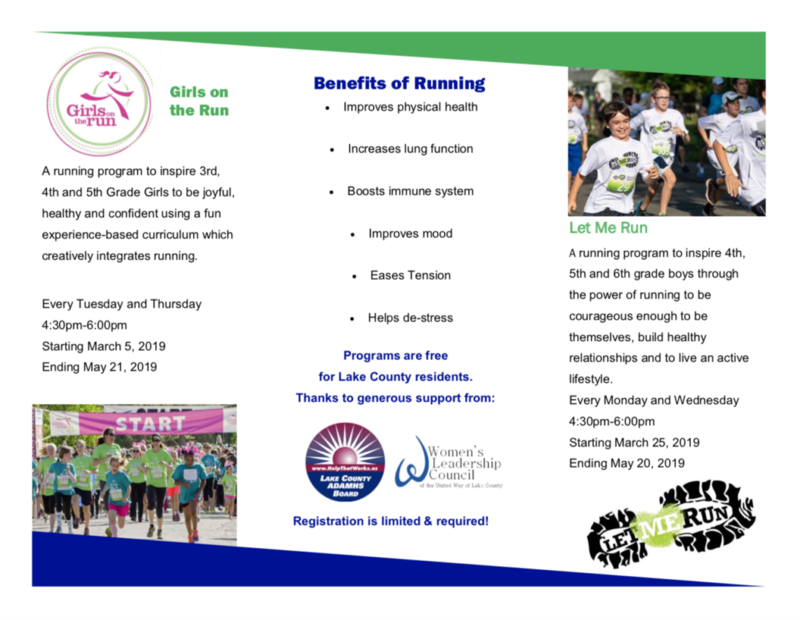 Every Monday and Wednesday, 4:30pm–6:00pm from March 25th through May 20th. These programs are FREE for Lake County residents, but registration is limited and required. 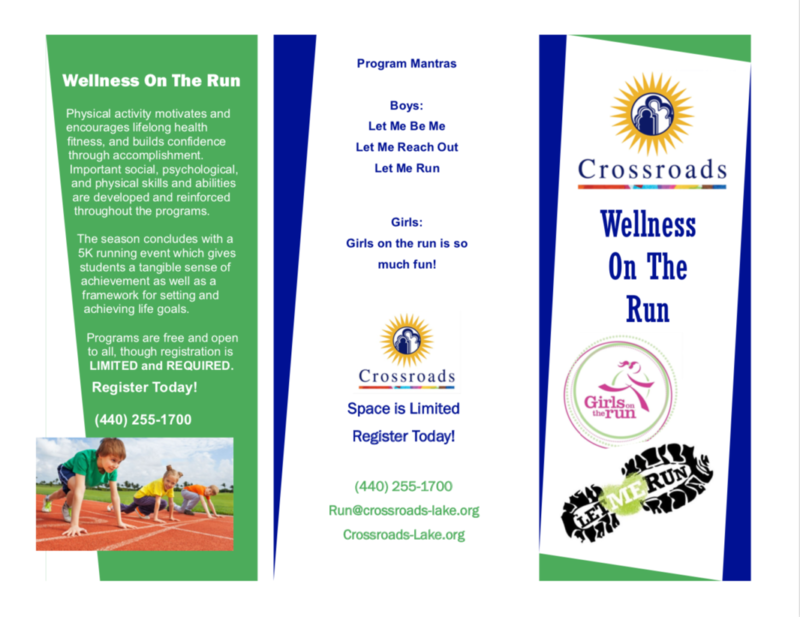 Call 440-255-1700 or email Run@crossroads-lake.org to register.